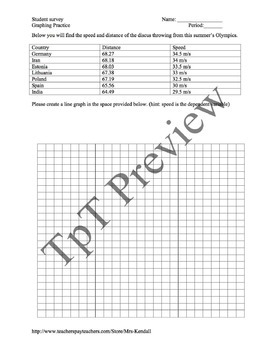 As teachers, we know that graphing is really important to know how to do in a science class; this worksheet helps the students see that graphing is important for scientific investigation. I created this graphing worksheet to help my students practice their graphing skills in a science setting. It includes collecting a small amount of survey-type data as well as graphing olympics data.